Dr Andy Stewart of the Department of Physics and the Bernal Institute was invited to the Centre of Microscopy at University of the Federal de Minas Gerais (UFMG) Bello Horizonte, Brazil, to give a lecture course one electron crystallography for 1 week, both theoretical and applied lectures as well practical work on the TEM’s within the centre. 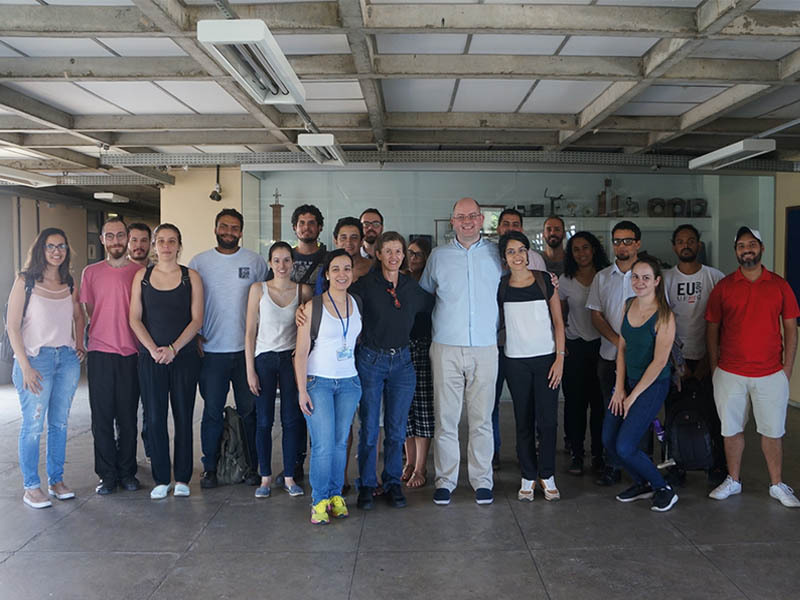 30 Students from all over Brazil attended the intensive course, which was 20 hours of course work in one week. The visit will be used as a spring board to start of a collaboration between UL and UFMG and help attract some of the best students and postdocs from around the world to come and work at the world leading electron microscopy facilities housed at the Bernal Institute.